This simple, patriotic pillowcase is perfect to show your pride for your country. Featuring red and cream stripes on the body, and blue with cream stars on the cuff, it is a simple project that anyone could finish. Kit includes assembly instructions and fabrics to complete one pillowcase. 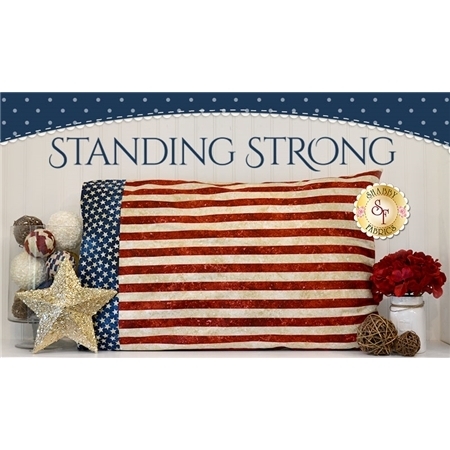 This pillowcase is also the perfect addition to our Quilt of Valor®, Standing Strong. 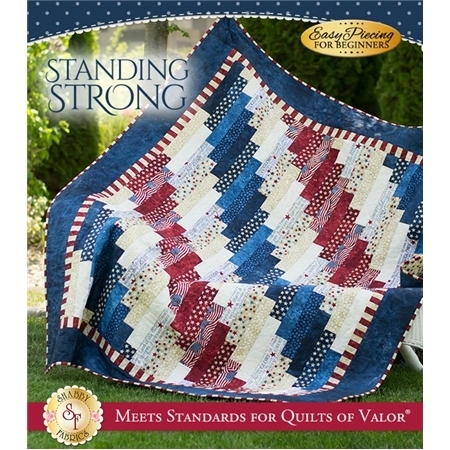 To view or purchase the Standing Strong Quilt Kit, click here.